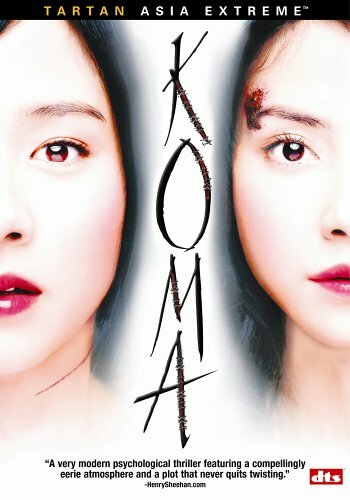 Koma, released by Tartan Video under their Asia Extreme label, is a visually appealing psychological thriller focusing on the urban legend about kidney theft. I'm sure you know the one. In this version, it begins with a woman waking up completely naked in a bathtub full of ice. She sees a message on the wall in front of her, apparently written in blood, telling her to call the police or she'll die. Unsure of how she got there, she pulls herself out of the frigid mixture of ice and water, and slowly walks toward the bathroom mirror while still in a daze. Then she notices blood... her blood... her blood that's oozing out from a stitched-up nine-inch cut in her side where someone has removed her kidney! The police have been after this kidney thief for months, without any luck. But they're about to finally get a lead thanks to Ching, a young woman who got too drunk at a wedding ceremony and accidentally stumbled into a hotel room... the same hotel room where the kidney thief had left their latest victim. 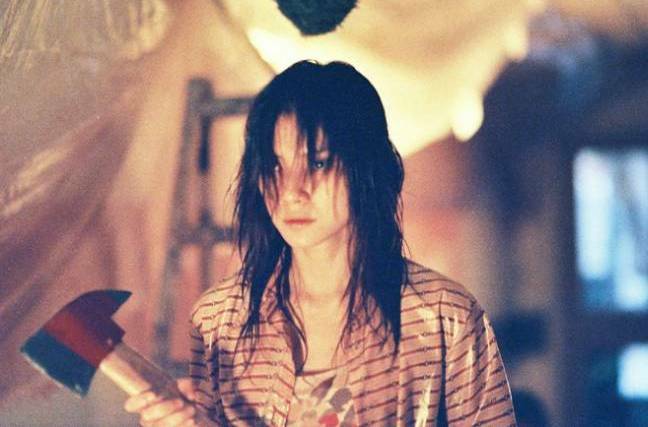 Upon seeing the naked and bloody woman crawling on the floor toward her, Ching flies out of the room as fast as she can, and when she does she catches a glimpse of a suspicious wet woman. 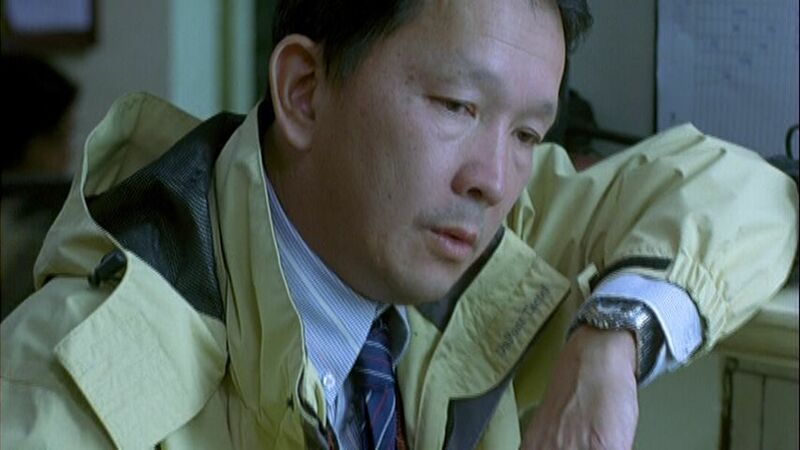 Down at the station, Ching watches through the hotel surveillance tape until she spots the woman she saw near the scene. The investigators track down this woman, Ling, and bring her in for a police lineup. But before Ching can make her final announcement that Ling is indeed the woman she saw, Ling lunges toward the glass and accuses Ching of picking her because she slept with Wai, Ching's boyfriend. Wai, sitting solemnly in the room with Ching, doesn't deny it. So the cops let her go, realizing their only real lead turned out to be nothing more than a lover's quarrel. Hurt, Ching breaks up with Wai, even going to far as to throw back the expensive-looking cellphone he had given her. But Wai, truly in love with Ching, and isn't willing to give up so easily. He sends flowers, along with a new cellphone, but when Ching finally decides to answer the dang thing, it's not Wai's voice she hears coming from the other end... it's Ling's! The terrorizing phone calls continue, and she even threatens to remove Ching's kidney... and of course this had to happen while she was driving, causing Ching to have an accident. But don't worry, she's fine, and Wai comes to her rescue. Soon afterward, Ling and Ching end up becoming best friends. Don't ask me how, cause I'm not telling! The story by this point had gotten away from the aspect of trying to find out who the kidney thief is, and evolved into a film about the relationships between these two woman, and Wai. But don't fret! That doesn't mean the thrills are over! There are more twists and turns, all which can easily hold your interest and wind up leading to a satisfying conclusion. As I mentioned earlier, this film visually very effective, which seems to be common among many of the Asia Extreme releases. I could easily see how they might be making these licensing decisions just by watching to see how stylish they are, without the benefit of subtitles or knowing about the story. But there's nothing wrong with that, as you're then guaranteed to have a movie with at least something cool in it. The lighting, the shadows, and the camera angles are all used together very well to create the thrills and just the atmosphere throughout. And when you mix in the sound and music, this world of theirs really comes to life. Of course none of that would matter too much if the acting was crap... fortunately it was quite the opposite. All the characters were extremely well played and believable, especially the two lead women of the film, Sin-je Lee (who played Ching) and Karena Lam (who played Ling). They both showed a lot of emotional depth, and I could pretty much feel what they were going through. Kudos to the director and whoever did the casting. It isn't all praise, though. There were a few slow scenes scattered throughout which I found to be boring, although I have to agree that they were probably needed. There were also a couple of times where I got confused as to exactly what was going on, though by the end of the flick everything was revealed and I understood those parts for which I hadn't before, unlike some movies. This was a good movie. It had some thrills, although no real scares. The relationships mixed in nicely with the kidney theft plot, and none of the various twists and turns felt contrived. Plus, they all led to a final, acceptable, and understandable destination. So the story worked, while the cinematography and the acting made the move as a whole succeed. Koma is being released on DVD by Tartan Video under their Asia Extreme label. 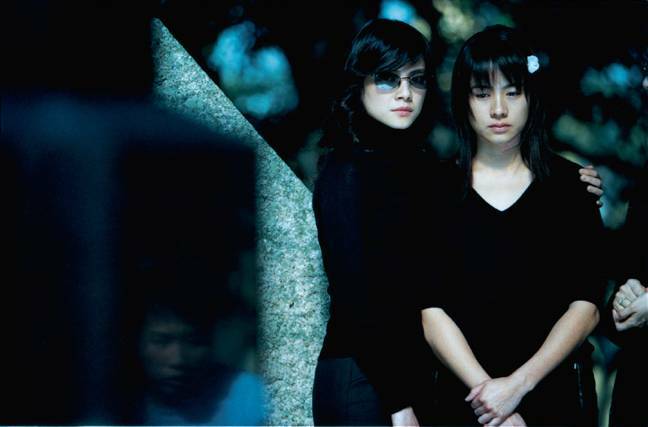 It was directed by Chi-Leung Law, and stars Sin-je Lee (aka Angelica Lee) and Karena Lam.